Join the Point! Huskies! Program to show your passion and support for UW Volleyball. Your gift provides us with the resources we need to recruit the most talented student-athletes and to ensure they have everything they need to compete at the highest levels. 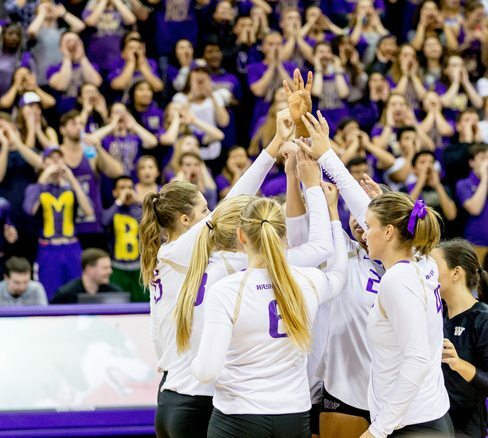 When you donate to Husky Volleyball, you become a key member of one of the nation’s elite tier of volleyball programs and keep us in the hunt to compete for championships every year. All gifts are tax deductible and qualify you for Tyee Club annual member benefits!